Each day on average, 1,252 people are diagnosed with Alzheimer's disease in the United States. 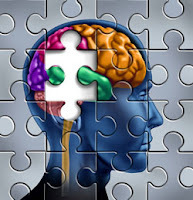 Each week on average, 8,764 people are diagnosed with Alzheimer's disease. Read more about this Sobering Statistic. More than half of Americans report that they have been touched by someone (living or deceased) who has Alzheimer's disease, and roughly a third of Americans are worried about getting Alzheimer's. Learn more about Americans Touched by Alzheimer's.